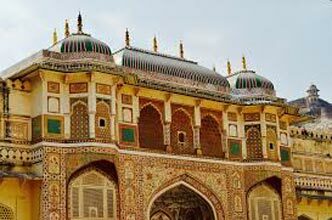 Upon your arrival at the Delhi Airport/Railway Station, meet our tour representative who helps you with an assisted transfer to one of the holiest cities of Hindu, Rishikesh. On reaching, check-in at a hotel. Referred to as the ‘Yoga Capital of the World’ and ‘Gateway to the Uttarakhand Himalayas’, Rishikesh alluers both peace seekers and adventure enthusiasts. It is home to several ashrams that offer Yoga and meditation sessions under expert’s guidance. It is the city of serenity, Sadhus, and more. After relaxing some time, embark on half-day sightseeing. Visit Ram jhula (built in the year 1986) and Laxman Jhula- not just iron suspension bridges but popular landmarks too. In the evening, you can also attend Ganga Arti, on the banks of Holy Ganga ghat. Soak-in the spiritual-feel and savor the lovely views. Begin your day with a calming yoga and meditation session, followed by morning wildlife safari in Rajaji National Park. 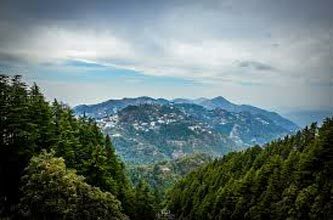 Surrounded by the Shivalik Ranges, this national park and tiger reserve lies at the foothill of the Himalayas. You can spot various kinds of animals such as elephants, tigers, panthers, spotted deer, sambhar, wild boar, barking deer, goral, 2 species of bears, Himalayan black sloth and more than 400 avifauna species. Post lunch, the day is scheduled for partaking in adventure activities such as body surfing, rappelling, cliff jumps, bungee jumping, rock climbing, jungle walks, trekking and waterfalls. The surrounding mountains, gushing holy Ganga River, thick forests etc offer excellent opportunities for all these thrilling activities. In the evening, enjoy tea with snacks followed by a barbecue dinner and campfire. 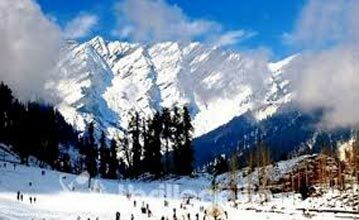 On the third day of the tour, leave by road for Auli, important skiing destination of India. On the way, admire the lovely views of the nature and scenery. Later afternoon arrival in Joshimath. From here, get aboard Asia’s longest ropeway that links Joshimath with Auli (Auli Bugyal). This 4 km long cable car offers panoramic views of the surroundings hills and thick oak forests. Arrive at your resort. Complete the check-in formalities and relax. Treat your eyes to the unforgettable views of sunset that goes down behind the Nanda Devi and other snow-clad peaks. Thereafter enjoy music, bonfire and dinner. 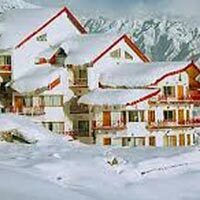 Lying between the altitude of 2519 m and 3050 m above the sea level, Auli is known for its breathtaking views, perennial snow, and skiing slopes that are ideal for both novices and trained skiing enthusiasts. Today, in the morning, enjoy learning the basics of ice Skiing. This day is going to be an exciting one. In the afternoon, back to the resort for lunch. Lunch is followed by a guided trek to Lake Valentine. This man-made Lake is located amid dense pine forests. During the trek, admire stunning views of Helang Valley. The evening is scheduled for sunset views, bonfire and music. On day 5, get ready sightseeing in and around Joshimath, which is now the winter seat of Lord Badrinath. During the winter months, the idol of Lord Vishnu is brought here from Badrinath that becomes inaccessible because of snow. 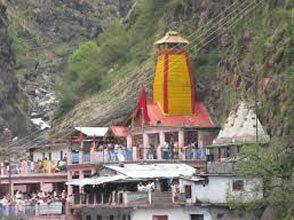 Joshimath is one of the four ‘Mathas’ (Monastires) that were founded by Adi Shankaracharya. Here, you explore the main attractions of Joshimth including places such as Narasimha Temple- constructed around 1200 years old, this temple is dedicated to Lord Narasimha, the 4th incarnation of Lord Vishnu that is half-lion and half- man; Shankracharya Cave- placed near Kalpvriksha, this is known to be a sacred cave where Adi Shankaracharya meditated during his stay here; Tapovan- the place is famous for its hot sulfur water springs popular for containing water that has medicinal properties. Later on, you again get aboard the ropeway to travel to Auli. Treat your eyes to the lovely views. In the evening, enjoy sunset, bonfire and music at the resort. Post breakfast on day 6, hit the road to go to very well-known national park and Tiger Reserve- Jim Corbett National Park. Founded as Hailey National park in the year 1936, Corbett National park is the oldest national park of India. It is extremely popular for housing a decent population of leopards, elephants, spotted dear and tigers. The park does not only varied animal variety but is also home to an amazing population of avifauna species, over 650 types of birds can be spotted here. In the evening arrive at the national park. Check-in at your wildlife resort. Relax for some time. Later on, enjoy music and dinner. Begin your day early by going on a Jeep Safari tour inside the Jim Corbett National Park for exploring its varied the flora and fauna. You may spot various species of deer including Barasingha, barking deer, sambars, spotted deer and hog deer, sloth bears, otters, peacocks, langurs, macaques, crocodiles, monitor lizards, jackals, wild boars, gharilays and so on. The 600 species of birds would include both resident and migratory bird species. The day is going to be an exciting one. Later, back to the resort for breakfast. Relax for time and then visit the Corbett falls this 20 m high waterfall, surrounded by attractions like thick forests, chiroy birds and serene environment is a popular picnic spot. Back to the resort during lunch time. After lunch, the rest the rest of your day is at leisure. Enjoy the facilities being offered at your resort. Post breakfast on the last, drive back to Delhi airport/railway station for your onward journey. Destinations Covered : Dehradun, Chamoli, Rudraprayag, Uttarkas..